The Blue Wave didn’t save us. You did. It took a movement to take back the House. 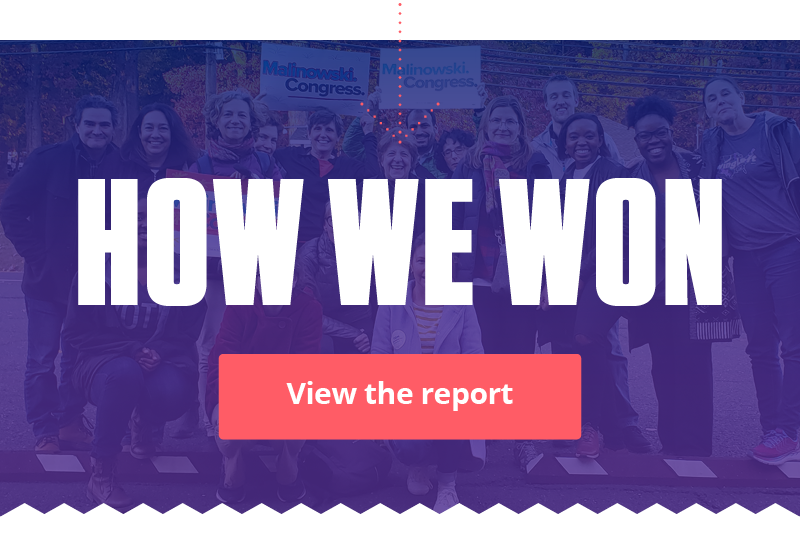 Across the country, thousands of people like you volunteered for candidates, raised money for their campaigns, and built momentum for the 2018 midterms. And it worked. Together, we raised $11 million for candidates, made 2.5 million phone calls to voters, and knocked on 5 million doors in Swing Districts across the country. And you’re amazing—winning the House couldn’t have happened without you. In 2018, taking back the House was the one big way we put a check on Trump and the GOP. And over the next two years, there’ll be lots of important ways to do that: flipping the Senate, defending the House, winning the state-level races needed to ensure fair maps in the 2021 redistricting—and, of course, taking back the Presidency. Let’s keep working, together. Share Swing Left’s How We Won report and ask your friends if they’re in, too.